Touch'n Read Use all the features of Alinto Motion to check your messages through a convenient WebApp. User Friendly Without any installation, no setup, users just need log in and get their inbox in less than 5 seconds. Secure Users access their emails anytime and anywhere safely through a SSL connection. 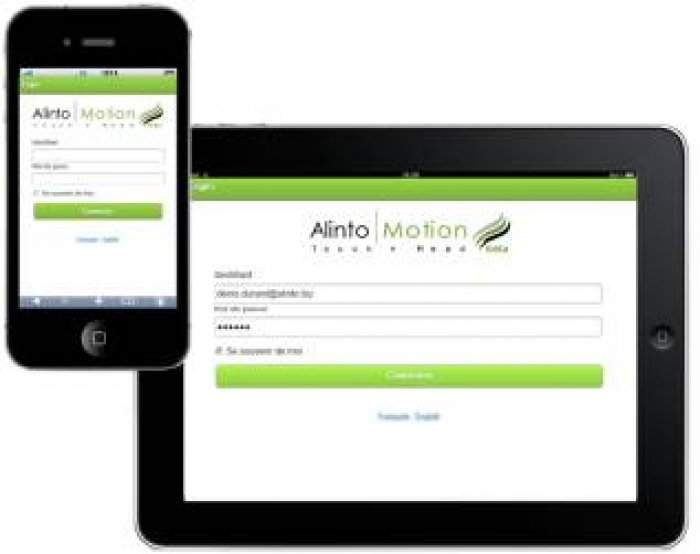 Compliant Alinto Motion can be used as mobile webmail for public portal or company's mail server. Users do not have to set-up their smartphones, connection is made easily (with login and password), promoting the BYOD concept. Flexible Our mobile webmail is a WebApp based on HTML5 which makes Alinto Motion compliant with all smartphones and tablets. Messages are available in real time, with an high level performance. Hosting Alinto Motion may be hosted on Alinto's cloud or a dedicated server depending on your requirement. No Back Office Management CTO does not need to take care of data leek because no data is stored locally on users terminal. Users get their emails through a full secured connection to the mail server.